Some days I really don’t feel prepared to be an adult. Today was one of those days. And as long as I’ve now lived in Texas, days like these, in addition to leaving me feeling like a complete idiot, remind me of how little I understand about the place, especially the creatures that live here. This story really begins more than three years ago. 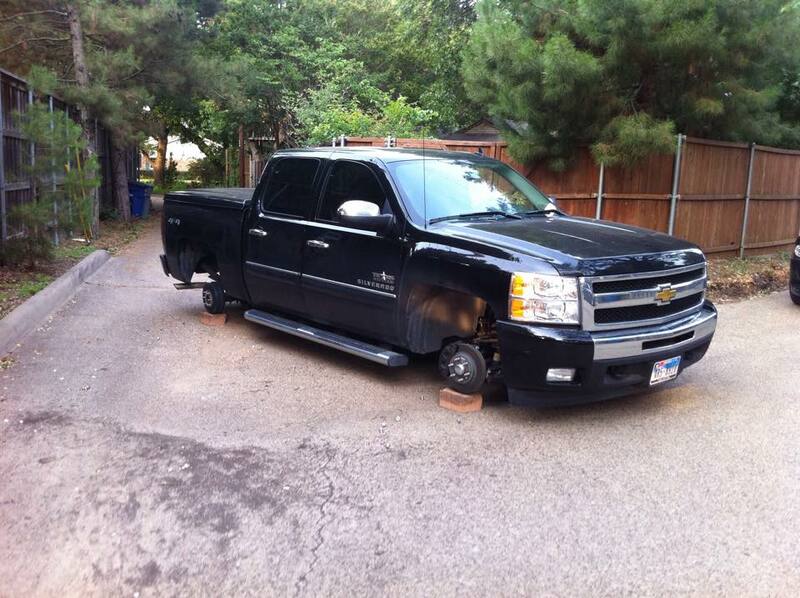 When we first moved into our neighborhood in Dallas, Bruce’s pick up truck got stolen right out of our driveway. It was the Tuesday after Memorial Day weekend. We were all exhausted from unpacking and all that fun stuff you do when you’re moving into a new place. Our garage was still full of stuff so neither of our cars was in it. We (Bruce, Godiva, Guinness and I) went to bed early. I guess we all slept very soundly because no one barked, not even Gracie, our neighbor’s dog that seems to bark at everything. Constantly. There was a fence around the grassy portion of our backyard and it separated the garage and driveway from the yard. Our driveway backs up into an alley filled with everyone’s garbage and recycling bins. Some neighbors had put gates at the bottom of their driveways. Our real estate agent suggested that doing so might be a nice way to really maximize the backyard, especially since it would be nicer for the dogs. So even if we had heard the thieves, we probably wouldn’t have seen them very well, since the wood fence separated the grass from the driveway. 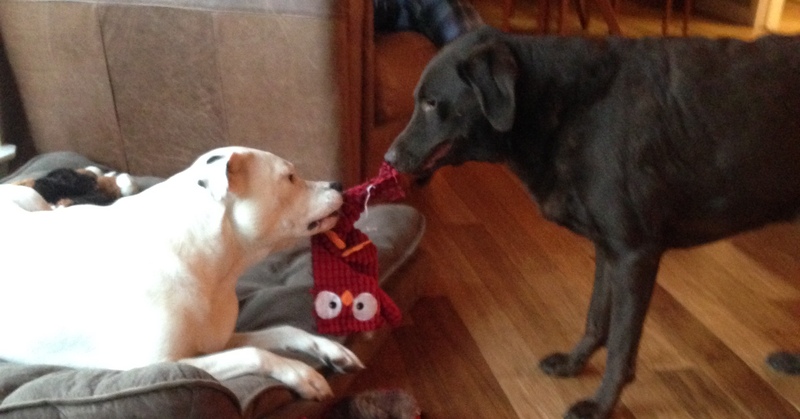 We let the dogs out to pee, had a coffee, then went out the front door for a walk. Coming home, we walked up the alley. 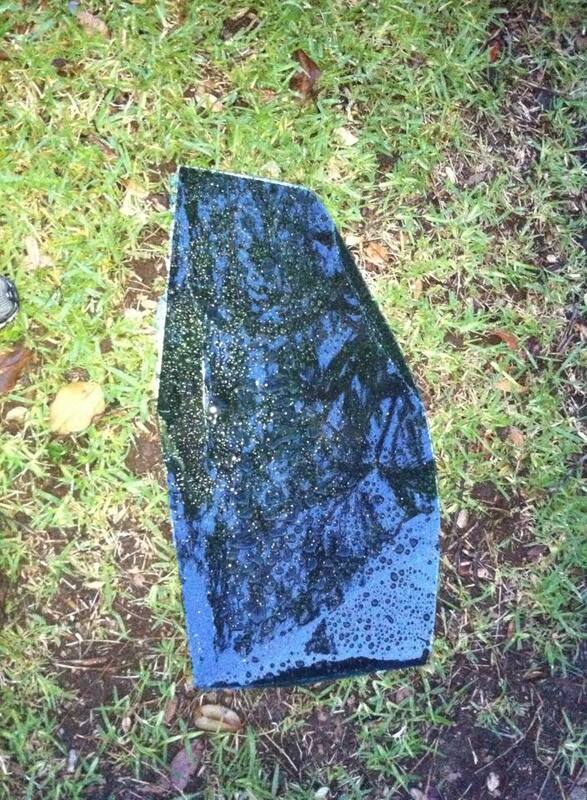 That’s when we saw the broken glass and the missing truck. Long story short: OnStar helped us find it and Bruce got to the truck before the police did. It was on blocks. The tires and rims were gone. Of course, insurance took care of the situation, but it was still a big pain. It also expedited a new fence. Instead of only fencing around the grassy part of the yard, we knocked down the fence by the driveway, added a fence in the side yard and finally added a gate at the end of our driveway. The whole yard became instantly bigger. And we felt a lot more secure. It’s sad, but true. The gate is huge because our driveway is very wide. There really was no other way to have a gate that big and heavy except to have a motor to open it. Like a garage door opener, you hit a button and it opens or closes. Apparently this is a very common problem in North Texas when it gets cold. There is a tiny hole, about the size of a hole that a hole punch makes, and tiny lizards can get in there. Bugs also make the unit their home. So the toasty warm lizard snacks and gets bigger and chubbier until he can’t fit out the little hole. That’s when his size and density starts messing with the operation of the sensor! That was lizard number #1. He looked like a house gecko to me, but I’m no lizard expert. Nic kept exploring the unit since he said, “where there’s one, there’s usually more.” Sure enough, when he pried open the motherboard, lizard #2 was waiting. Like his pal lizard #1, he was about four inches long and once he saw Nic, he was along his merry little lizard way under the fence and into a pile of leaves. But Nic wanted to be certain they didn’t come back. He taped over the lizard entry with some electrical tape. He told me to go out and get some mothballs since it would keep both lizards and rodents away from the unit. Tomorrow morning as soon as the sun’s up, I will be adding mothballs in L’Eggs knee highs to prevent one of the Gs (Gidget or George) from eating a stray one. Nic dusted and cleaned the motor. He lubricated the chain and showed me how I could do it myself (he gave me the spray bottle of lubricant too). He made a few adjustments to the gate. He looked at the garage door and then lubricated every part on it. He’ll be back in January to fix a major part on the verge of breaking. But I think he did most of those things because he felt bad charging so much for the 2 second repair. And he probably went back to the office shaking his head at the easiest job of his day: lizard extraction. 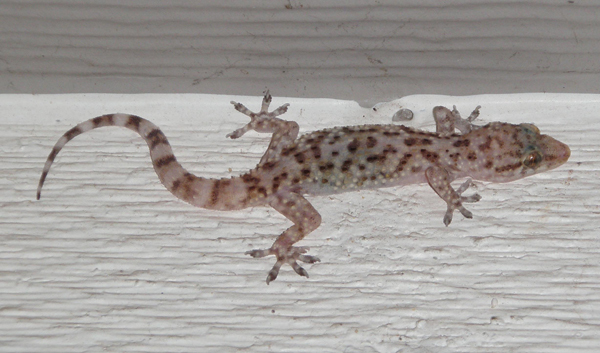 This entry was posted in So and tagged home ownership, house gecko, Julie Petroski, lizards, Texas. Bookmark the permalink. Well, you’ll know the next time :). And he did find something else that needed fixing so it wasn’t really a waste. And when i opened the mothball packages, they were in perforated sachets so no need for the knee highs. Score!